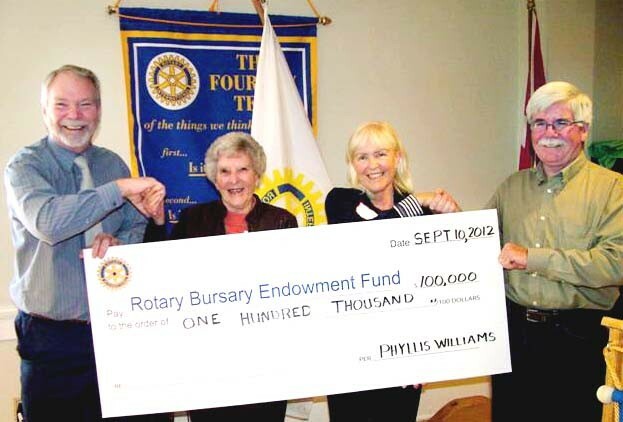 The Rotary Bursary Endowment Fund has been given the most generous of gifts, and also a challenge for the community for the next year. 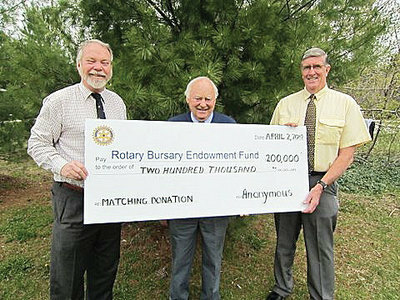 Members of the local Rotary club’s endowment fund were thrilled to receive a $200,000 anonymous donation with a catch that will hopefully further boost the program that gave out its first bursaries in 2011. The anonymous donors hope the community will match their donation within the next year, but have left no other caveats, making it possible for any local or out-of-town person, business, industry or government to support the fund-matching effort. 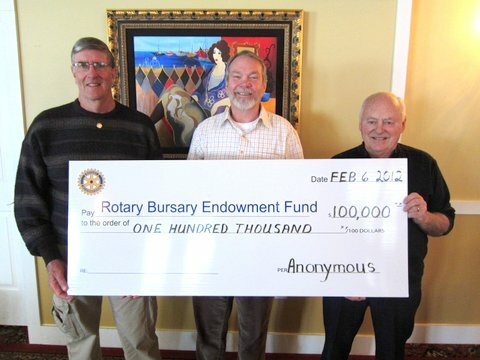 It is already the second major anonymous donation to the fund this year, with Little receiving a $100,000 private injection in late February. 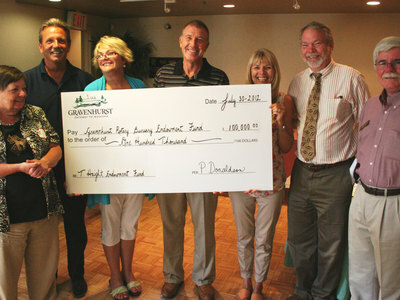 He said in the little more than two years the fund has existed, started with a $50,000 commitment from the Gravenhurst Rotary Club, some $330,000 has been realized. He pointed out if the club is able to generate the $200,000 in matching funds before next spring, that would represent three-quarters of a million dollars raised in that short time. Any funds not matched for the $200,000 donation will be returned, so Little said he hopes people will be equally generous. Bursaries are awarded for a variety of reasons, all based on need, and not at all on a youth’s grades. Only the investment income in interest or dividends is given out from an endowment fund to retain a growing principal base.